carmaker with a vehicle plant in the Xinjiang region. In Western China in particular, the Group is expecting a strong rise in purchasing power over the coming years. 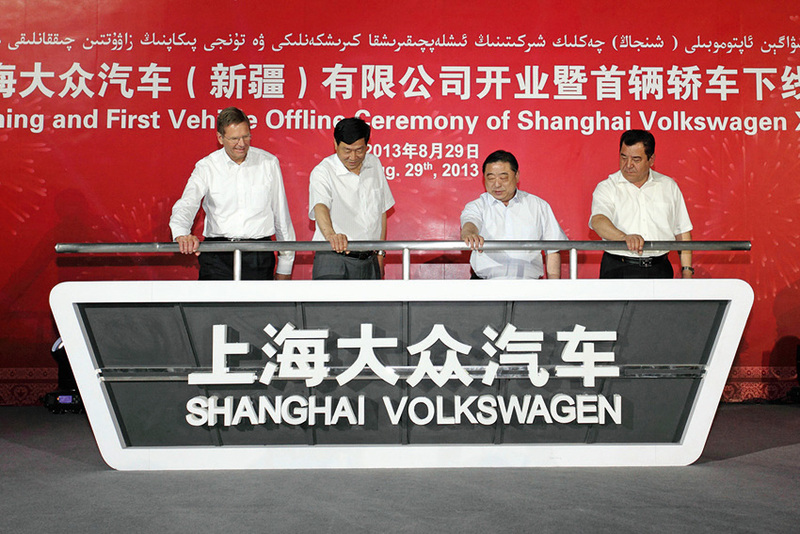 Production at the Urumqi plant gets underway with the SKD (semi-knocked down) assembly of the Volkswagen Santana. With the planned start of the plant’s own paint shop and body shop, the factory will produce up to 50,000 vehicles per year from 2014. "Our new operation in the Xinjiang province underscores the close partnership between the Volkswagen Group and the People's Republic of China," Prof. Dr. Jochem Heizmann, Member of the Volkswagen AG Board of Management and President and CEO of Volkswagen Group China, said at the start of assembly. "Our vehicle plant in Urumqi provides sustainable impetus for economic and social development in the region and allows us to benefit from expected growth in Western China." He went on to say this included support for all ethnic groups and was based on a particularly responsible approach to the environment and society. "Production of our new Volkswagen Santana brings mobility and clear future prospects for the people in the region." The Urumqi plant complies with the highest international standards for resource-efficient and particularly environmentally-friendly production. Moreover, Volkswagen Group China will be introducing key elements of the dual training system based on the German model in Urumqi. The workforce at the Urumqi plant will include all ethnic groups in the region. Shanghai-Volkswagen (SVW) currently operates a total of three vehicle plants in Shanghai, Nanjing and Yizheng, which is located in Jiangsu province. A further plant in Changsha in the southern part of Central China is to be completed by the end of 2015.